I like mine shaken not stirred with a twist! 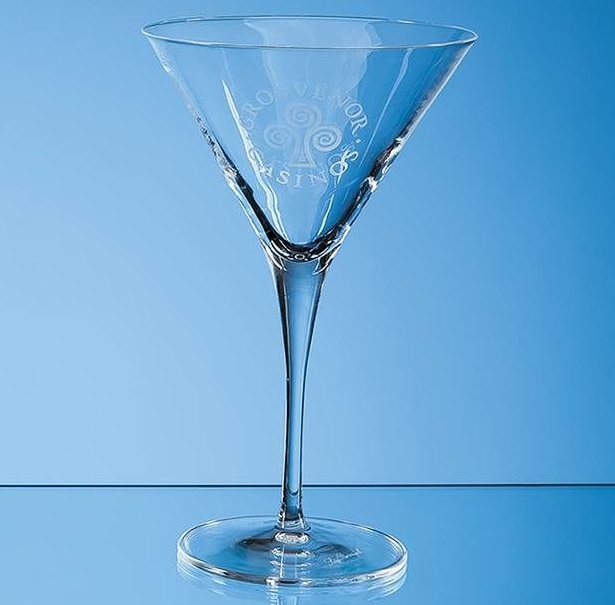 This long stemmed 300ml Allegro martini glass with a classically flared goblet can be engraved with an inscription, logo, crest or message. It would be a stylish and sophisticated memento or gift for any occasion such as a work farewell, engagement, birthday or anniversary. The glasses measure 197mm x 120mm.